Celebrate active living in your community! 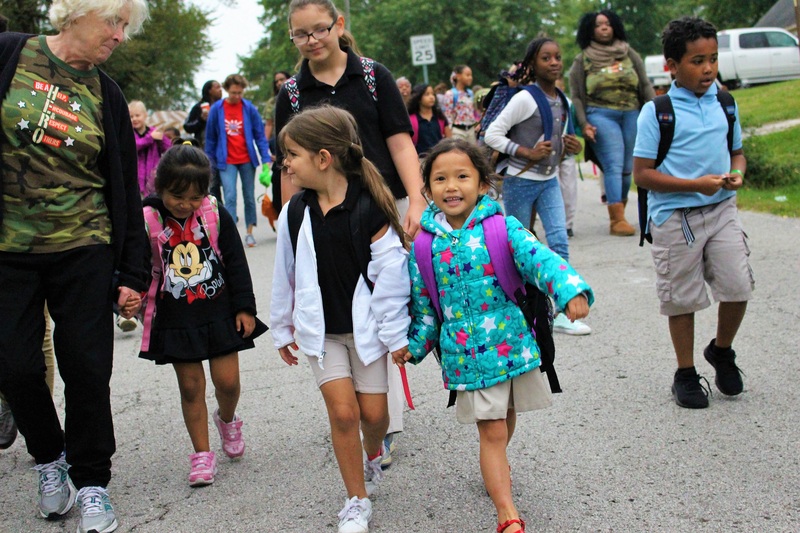 Join us for International Walk to School Day, right here in the Kansas City metro: When kids walk or bike to school they not only get a daily dose of much-needed physical activity, they also burn off excess energy and arrive in the classroom ready to learn! Greater Kansas City’s celebration of International Walk to School Day is organized by BikeWalkKC, KC Healthy Kids, and the Mid-America Regional Council. Individual schools organize their own events, while we provide technical assistance, advice, and publicity. Find your school’s event or register an event at Walk to School KC! For more information about Safe Routes to School in the metro area, please visit BikeWalkKC’s Safe Routes to School services.